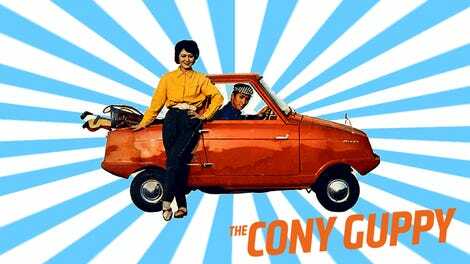 As I enjoy declaring publicly, I am an unashamed space-utilization fetishist when it comes to automobile design. Cleverly designed trunks, compartments, cubbies, all transforming forgotten volumes of space into usable storage, hot damn, that’s what I like. The new 2019 Chevrolet Silverado, I’m happy to say, appears to be a vehicle developed with these same ideas, since it’s crammed full of clever storage. The interior designers of the Silverado seem to have been on a mission to find every little usable volume of otherwise unused space, line it with carpet, and turn it into a storage area. Just look at that. That’s the backrest of the rear seat, where a small-but-very-usable storage compartment has been fitted, complete with seat-padded door. There’s two back there, one on each side. 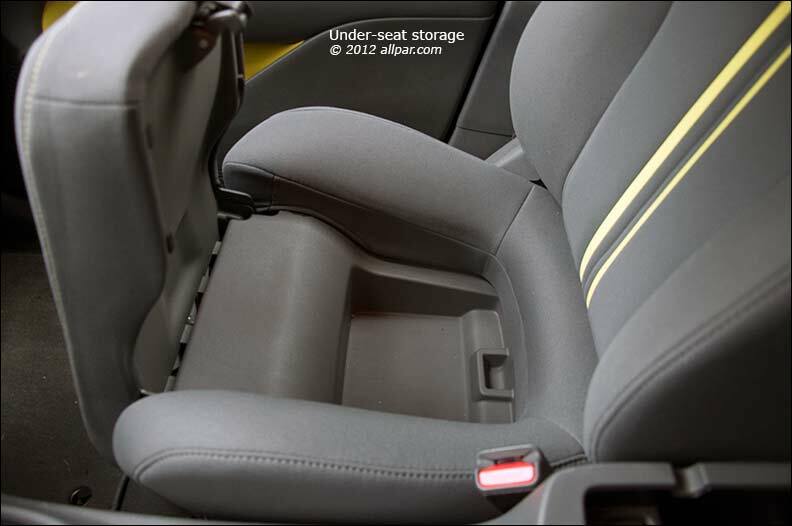 While seat-bottom storage compartments have been known before, I believe this is the first example of a seat-back storage cubby in a mass-market vehicle. It seems to be big enough to hold a non-huge laptop, certainly tablets or phones or a massive sandwich or stacks of secret documents or other valuable, roughly book-shaped things. This is dead space almost nobody ever considers employing for storage use. Fantastic job. Next we have some under-seat storage, a narrow-but-long volume good for stashing long things like tubes of rolled up drawings or a bat or a partial, unfinished party sub. The Silverado (at least in one configuration) almost has a bench seat up front, at least as close as you’re likely to find today, three close-fitting seats that join forces to appear to be a bench seat. The middle seat’s bottom flips up to expose a center console storage area. The center console storage area is pretty standard in cars today, but the fact that this one is also an actual seat makes it a little novel. Also, on trucks without the center seat, the center console storage area is big enough that it can have hanging file folders in it, for mobile office use, and is 25 percent bigger than a normal paper grocery bag, which is pretty damn big. There’s also some optional lockable cargo bins that fit over the wheel wells that offer about seven cubic feet of extra storage space, just so you know. While I’m not physically at the show this year, because Detroit is so very very cold and gray, our own Andrew is, so I’ve demanded he go to the truck and poke around in all the little compartments. We’ll get video of that for you soon. I’ve also taken the liberty of doing a quick bit of estimating here, to compute just how many canned hams you could transport in this truck without having any sopping wet ham, safely contained in its protective tin, visible. I’m thinking you can get at least six in each rear seatback storage cubby, for a total of 12. Then, in the long underseat compartments, I think you can cram at least five per side, for a total of 10 under the seats, bringing the grand total to 22. Then, in the front underseat storage area, I think you can easily get eight more in, for a total of 30 hams. On ones with bucket seats and the larger center console, I suspect you could fit at least 30 canned hams in there, for a total of 52. 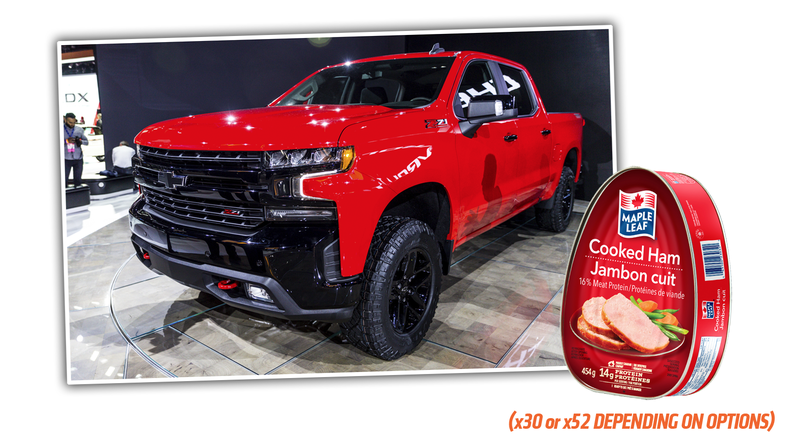 That’s my guess for how many canned hams you can clandestinely smuggle in the interior, unseen: 30 for the bench seat model, 52 for the bucket seat one. I hope this helps your future purchasing decisions. NOTE: I feel like I was being a but hyperbolic with my headline there. As I’ve mentioned before, no non-cabover pickup with a hood that massive is truly a ‘triumph of space utilization.’ I was overcome with all those compartments. I’ll be more rigorous in the future.